Demonstrates competence in patient care skills within the scope of practice for the Registered Nurse, to include patient assessment, assisting with exams and procedures, administering medications, and patient education. Processes orders, returns patient calls, and notifies of diagnostic results as directed by the physician. Appropriately documents care provided in the patient's medical record. Facilitates effective patient flow and assists with prioritization of work assignments. Assists with the maintenance of adequate levels of supplies and performs and documents medical equipment safety checks. Adheres to the American Nurses Association Code of Ethics. Recognizes, supports, and utilizes evidence based nursing practices. Maintains compliance with established safety and regulatory guidelines, including HIPAA, OSHA, and infection prevention policies and procedures. Participates in unit based performance improvement activities. Exhibits effective communication and team work. 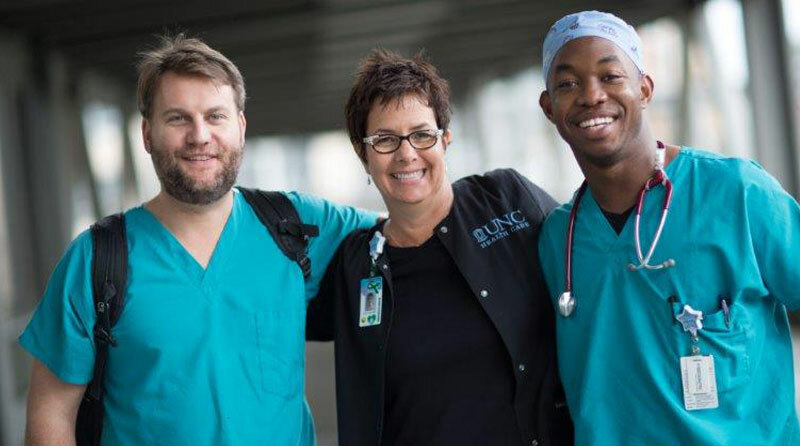 Candidate is required to have a Basic Cardiac Life Support (BCLS) certification Licensed as a Registered Nurse in the state of North Carolina (RN NC LIC). It is preferred that the candidate have a Bachelor's degree (BSN) from an accredited school of nursing and have previous medical office experience.